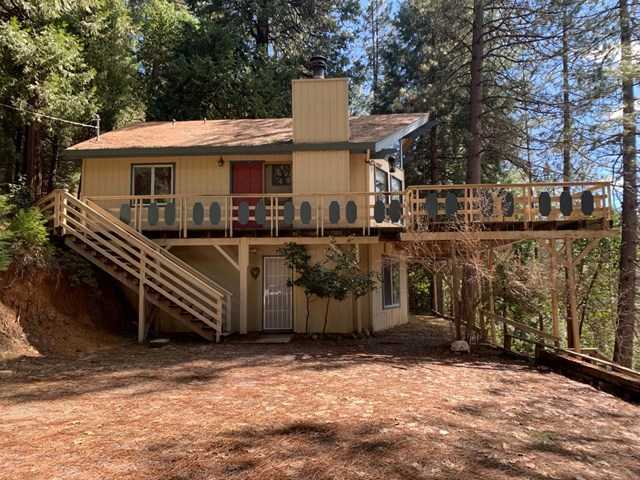 MLS# ML81747173 - 17528 Antelope Drive, Pioneer, CA 95666 - Pat & David Fogg | David Fogg Real Estate, Inc. Courtesy of RE/MAX Gold, John Bonfiglio. 3 bedroom, 2 bath home is ready for the new owner to add their own personal touches. 1480 square feet. Fantastic light and views from the large living room windows. Large fireplace with wood burning insert. Open kitchen with large island. Peaceful 2.09 acre lot with many mature trees. Large storage area in downstairs. Ground floor bedroom and bathroom. Please, send me more information on this property: MLS# ML81747173 – $174,900 – 17528 Antelope Drive, Pioneer, CA 95666. I would like to schedule a showing appointment for this property: MLS# ML81747173 – $174,900 – 17528 Antelope Drive, Pioneer, CA 95666.